They Rehabilitated, They Ran, They Conquered. This past Sunday, Makovicka Physical Therapy was proud to cheer on a few people running in the Lincoln Half-Marathon, whether they are one of our employees or had been a patient of ours. Helping our patients get back to what they love is why we’re here but getting to see what they’re doing after they completed physical therapy is an added bonus! For Wayne Meyer it was the finish line at the Lincoln Half-Marathon that kept him coming to physical therapy at our Millard location with Josh Richling. “Without Josh Richling and all the people at Makovicka Physical Therapy, I would not have made it to the starting line, let alone finish the race!” Wayne said in a post after the race. We can’t thank Wayne enough for all the support he has given everyone here at Makovicka Physical Therapy including the staff at the Millard clinic. 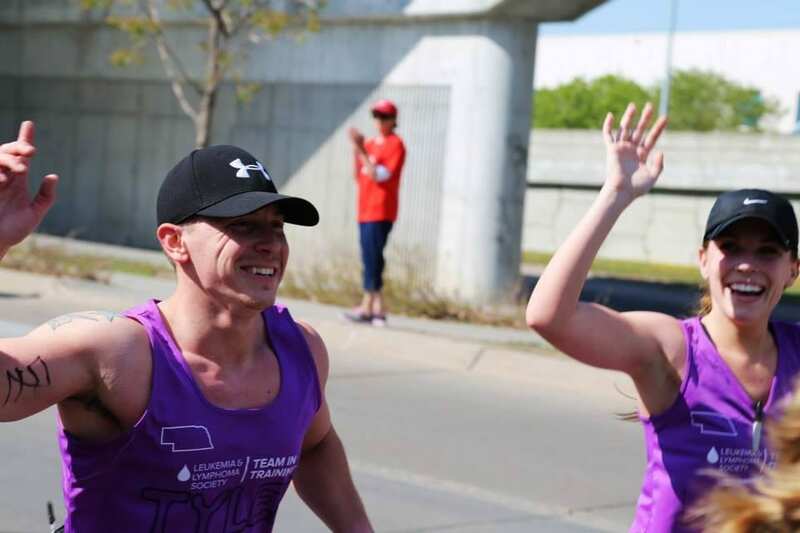 Tyler, a physical therapy tech at our 90th St. clinic, ran with his girlfriend, Lauren, as a part of the Team In Training that benefits the Leukemia and Lymphoma Society. He ran for his sister (top picture, middle)who had gone through leukemia when she was 7 and is now doing great. They raised $2,950 for continued research of Leukemia and Lymphoma. Make sure to congratulate Tyler on his run if you stop by the 90th St. Clinic. We caught up with Zach (literally, we ran with him a quarter block), one of our resident physical therapists, at the half who was running for the pure joy of it. We’re hoping we get to cheer him on at next years full-marathon. What do you say Zach?